The African Cashew Alliance was established in 2006 as an association of African and international businesses with an interest in promoting a globally competitive African cashew industry. Today, nearly 130 member companies work under the ACA banner and represent all aspects of the cashew value chain, including producers, processors, traders, and international buyers. Over 2.5 million African farmers currently grow about 57% of the world’s cashews. The African cashew sector has become a highly visible contributor during the last 10 years. 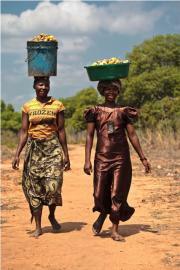 African smallholder farmers have more than doubled production. With a yield of more than 1.6 million tons of raw cashew nut (RCN) in 2015, Africa is now the world’s largest producer of RCN. While processing in Africa remains low, it is on the rise, growing from 35,000 MT in 2006 to 105,700 in 2015. It is estimated that a 25% increase in RCN processing within Africa would generate more than US$100 million in household income, improving the lives of many families in rural areas. A sustainable African cashew industry that delivers globally competitive, value added products and secures profitability for all actors. To create a platform for accelerating growth and investments in the African cashew industry through partnerships, advocacy, market linkages, technical support and global networking. All ACA members commit to the ACA Business Code of Conduct, a set of principles to ensure the African cashew processing industry grows in a sustainable manner.